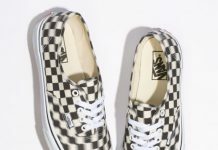 The ever evolving Vans Syndicate is back at it again, and this latest collaboration with UK skate shop Slam City Skates truly brings a new look to the Vans lineup. Rather than going too crazy, SCK decided to merely twist things a little bit, and the end result is quite the spectacle. 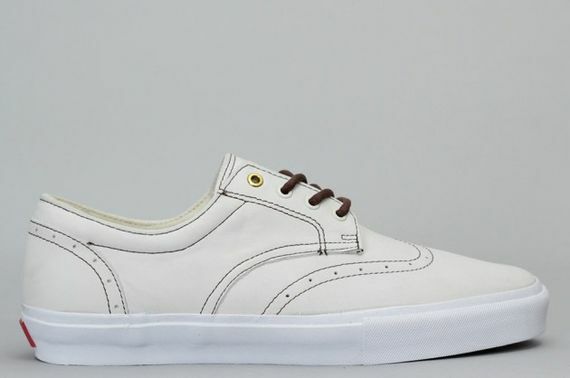 The Derby silhouette is seen here with a wing tip stitch pattern that gives these skate ready kicks a dress shoe makeover. 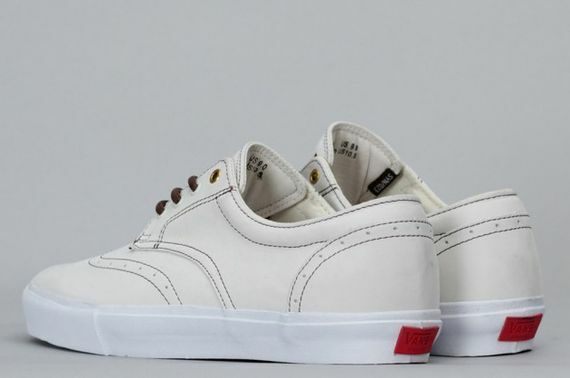 Still perfectly skateable, these all leather kicks in brown and white a perfect choice on and off the board. 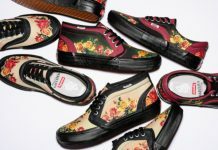 These are extremely well executed, so don’t be timid, be sure to head over to SCK Friday when these drop. More photos after the jump.